Because each project was anticipated to involve over 50 cubic yards of soil disturbance during construction, a site history evaluation and environmental characterization of subsurface environment would be required to evaluate whether chemicals presence in the subsurface environment that would pose significant risk to humans and environment and require site mitigation consideration. If site mitigation is required, a site mitigation plan would be required for mitigating the environmental risks based on the results of site history and site characterization. Due to the tight time schedules on some of the projects, the Article 22A compliance projects were frequently conducted based on the conceptual designs and while the detailed designs were being developed by the Port. 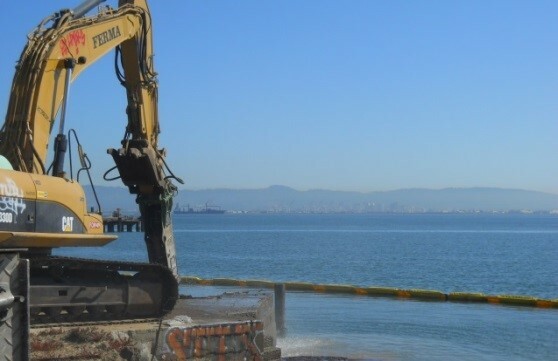 AEW worked with the Port's design team to identify the potential lateral and vertical extents of areas where soil disturbance activities might occur for the projects. Because of the uncertainty of where the areas would be disturbed, AEW designed the investigation protocols to maximize the coverage of potential horizontal and vertical extents of soil disturbance to minimize additional needs of characterization once the final design is completed.